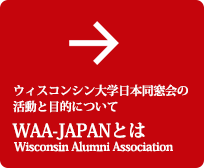 Welcome to the homepage of the Wisconsin Alumni Association of Japan.This is an organization for University of Wisconsin alumni in Japan. 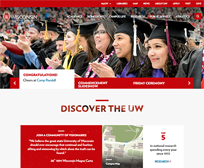 The objective of WAA-Japan is to foster a sense of fellowship among our members and indeed all members of the University of Wisconsin community, going beyond alumni to include students, teachers, researchers, fellows, administrators and employees of the University of Wisconsin system. 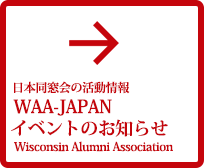 Copyright © Wisconsin Alumni Association of Japan. All Rights Reserved.